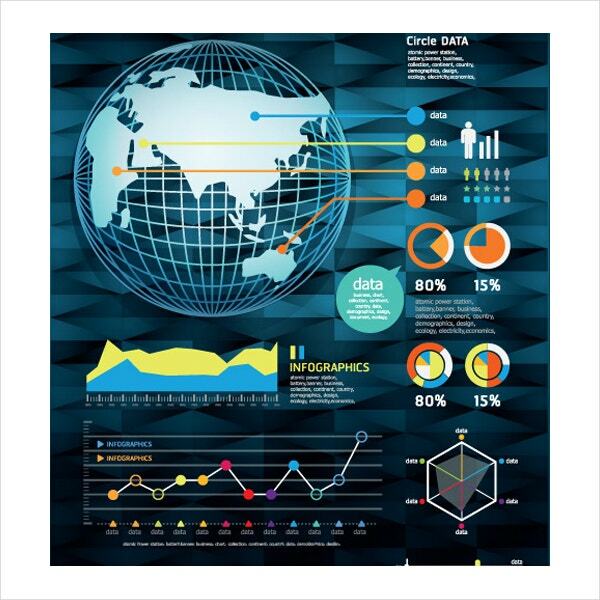 An infographic is a graphical representation of information designed to make the data easily understandable at a glance. 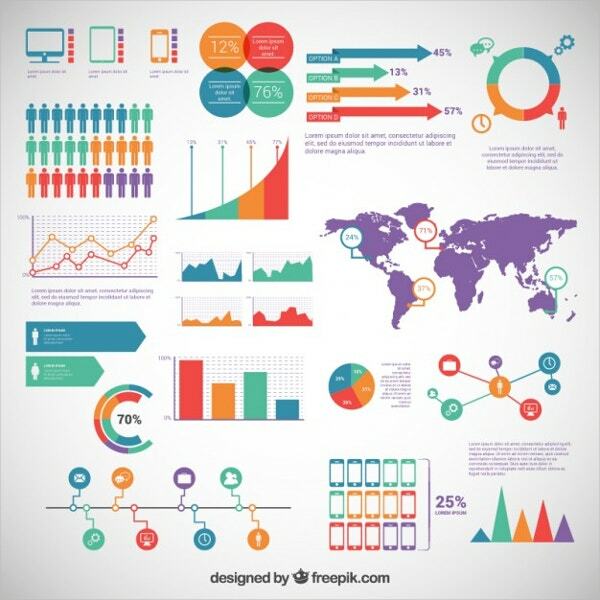 People use infographics to communicate a message quickly or to further simplify the presentation of a large amount of data. A well-designed infographic can help designers in simplifying a complicated subject or turn an otherwise boring subject into a captivating experience. As we all know, designing for greater user experience is tough and communicating that design process can be even tougher. 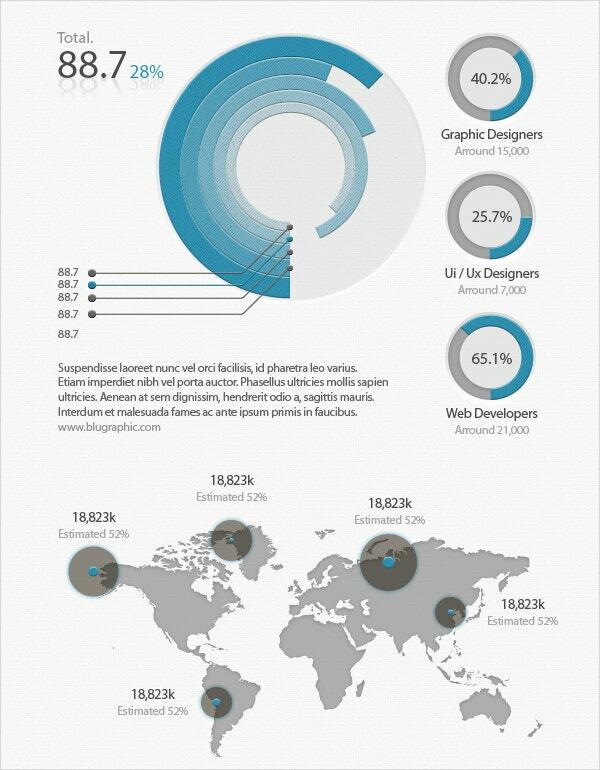 That’s where high-quality infographics can be so helpful. They help in illustrating complex processes and abstract relationships that can be difficult to convey in words. Round Infographic Template is perfect for workflow processes, flow chart, banner, number options, etc. 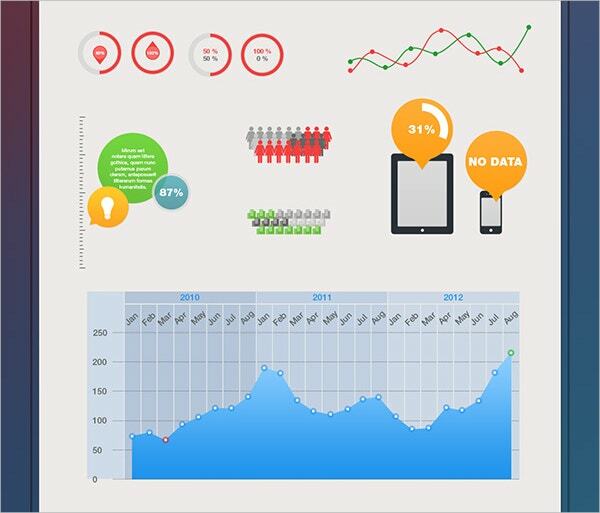 It contains various types of elements like graphs, icons, diagrams and other free infographic vectors for graphical representation of data. 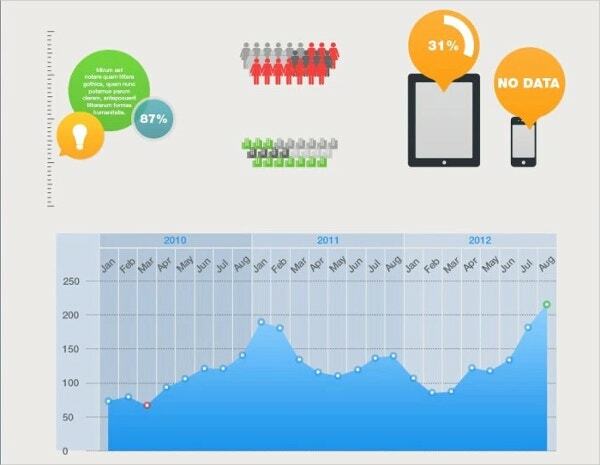 Infographic Elements Template helps you in creating beautiful infographic presentations and reports. 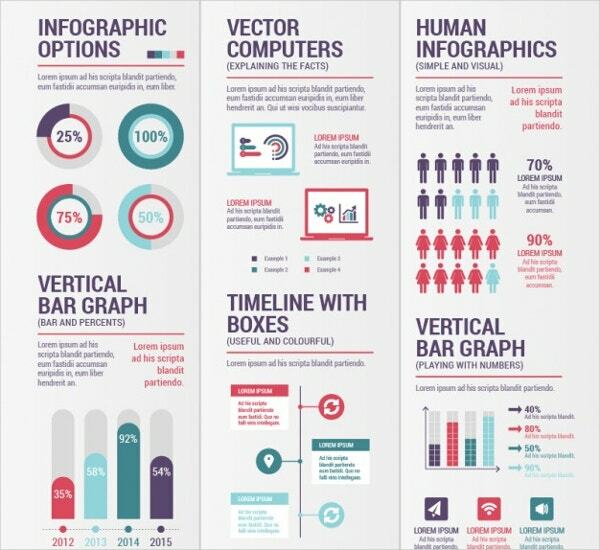 Infographic Elements Template is a vector pack that contains various types of elements such as graphs, icons, diagrams, etc. 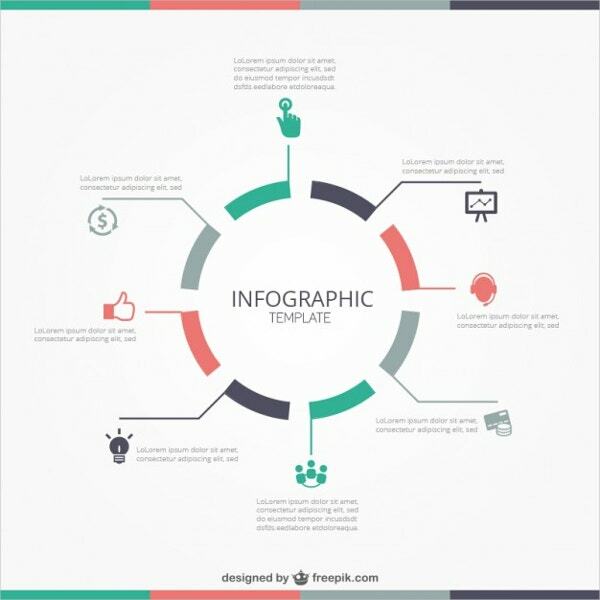 You can use this template to create your infographics, presentations, reports, and advertisements. It is available in both EPS and AI format. 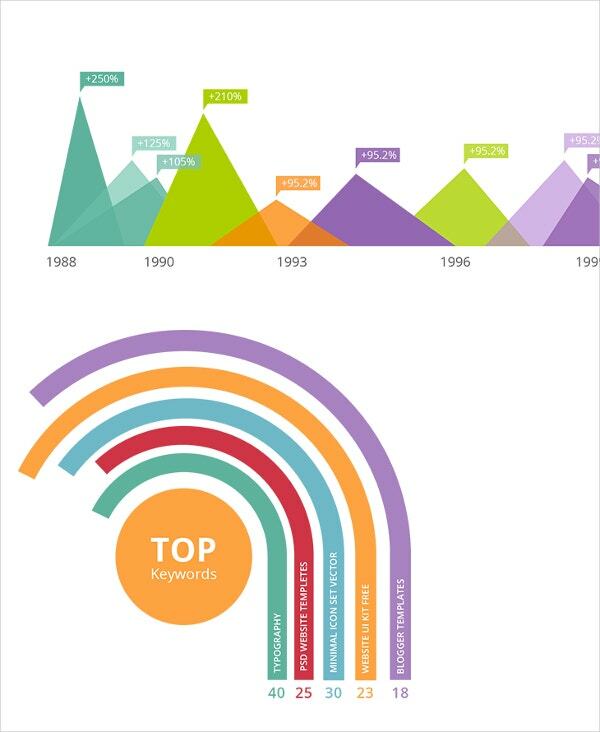 You can also see Infographic Tools. Magnolia Free Infographic PSD Element/Template is a package of elements that will enable you to create infographics through which you can explain some complex information or statistical data. In this template, you will find various helpful elements in the PSD format and all the elements will be in vector format too. Infographic Elements Pack Free PSD template contains various useful elements like flowcharts, banners, number options, presentations, work plan, etc. and all these elements are available in vector format. 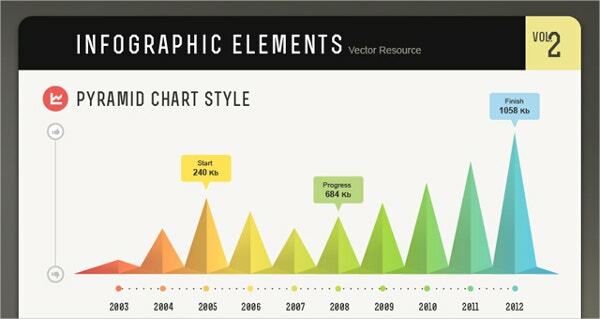 Compatibility with Adobe Photoshop enables you to customize your infographic design further. 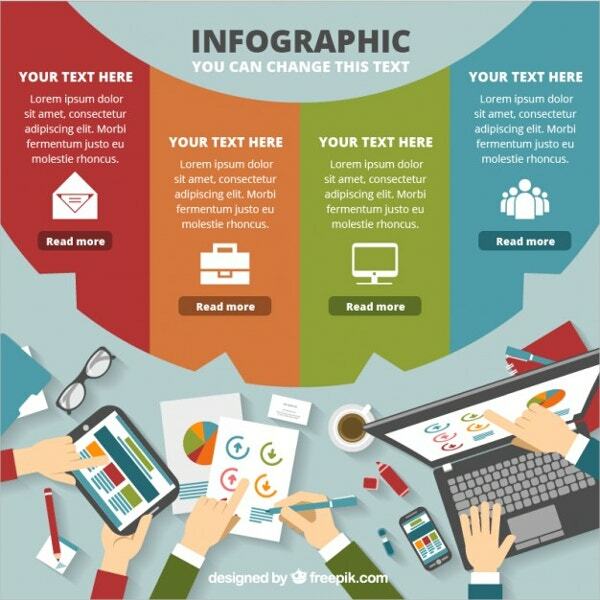 Modern infographic presentation can be best done with Infographic Elements Bundle template. It is compatible with Adobe Illustrator and offers hundreds of stunning vector elements which will help you in getting your design project ready in a matter of minutes. You can resize the elements to any size and the text areas are editable. Infographic Elements Bundle template is best suited for newspapers, magazines, websites, resumes, advertisements, flyers, etc. 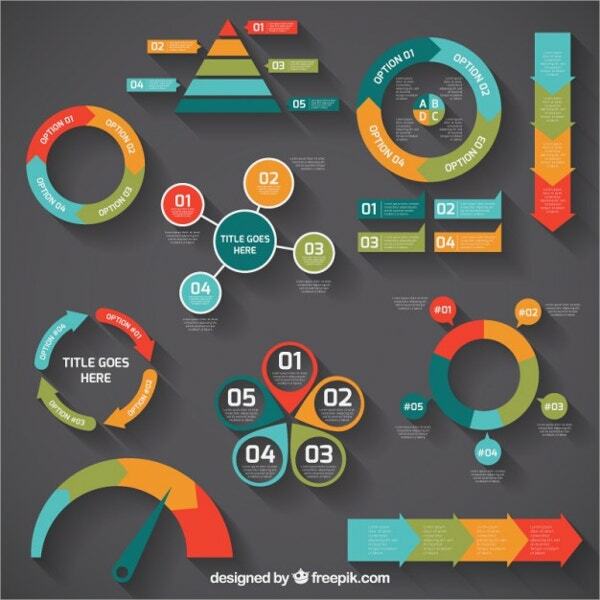 Flat Infographic Vector Elements, as the name suggests, the elements available with this template are flat and do not offer any enhancement in size. This template is designed to help you in creating flat designed infographics with custom elements such as map, population, bar and charts features. Beautiful Infographic Elements PSD For Free Download template is available in PSD format and you will get so many elements which are in scalable Photoshop shape. 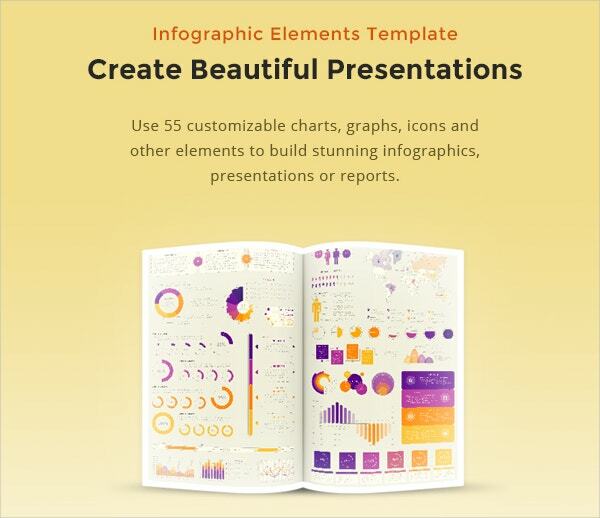 Beautiful Infographic Elements PSD For Free Download template is ideal for making presentations, data calculation, reports, etc. Infographics Design Elements PSD template enables you to create your own infographics, presentations, reports or advertisements. 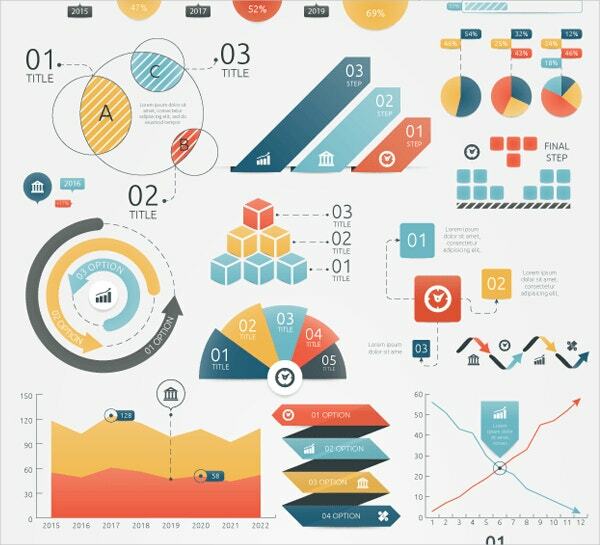 This template offers infographic vector PSD and plenty of infographic design elements like graphs, line bars, tables, pie charts, etc. 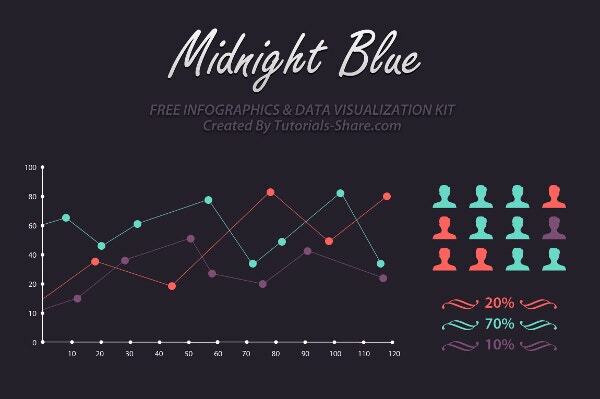 Free PSD Infographic Element Kit template is a perfect starting point for anyone who wants to make a quick infographic presentation. It offers many design elements and dummy data to be used in preparing the presentation. It is compatible with Adobe Photoshop. Hence you can bring in further changes as per your requirements. 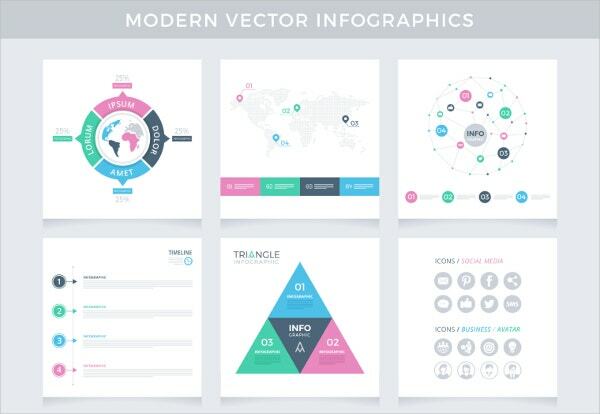 The Modern Infographics Vector Pack template makes the process of creating infographics incredibly easy. This template pack contains five infographic elements and sixteen icons in Ai, PNG, PSD, SVG and EPS format. You can customize the elements further through Adobe Photoshop. Infographic UI Elements PSD template is ideal for web designers and application developers who can use this template in their design projects. 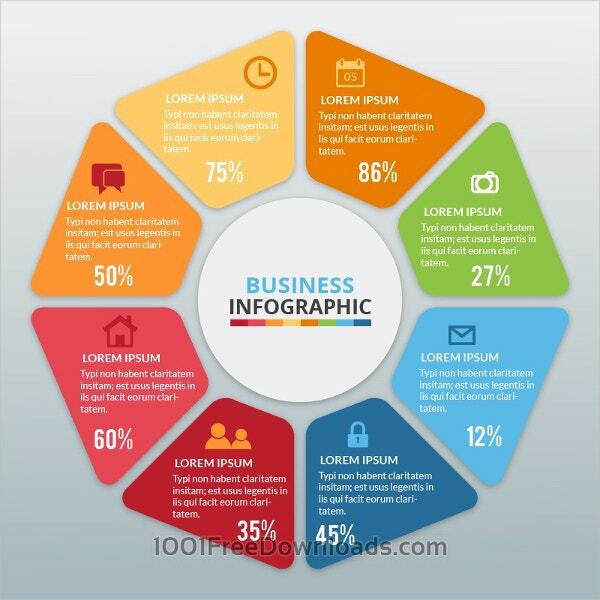 This template contains a set of extensive collection of infographic elements such as charts, graphs, pie charts, line charts, map pointers, business analysis charts, statistics, percentage graphics and much more. All these elements can be edited further as per the requirement. 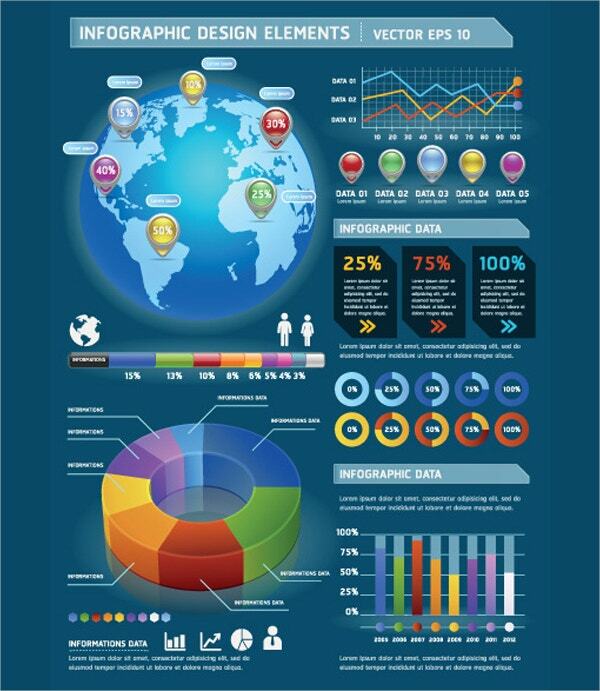 It’s an open secret that people are more likely to read an infographic with a concisely written text. 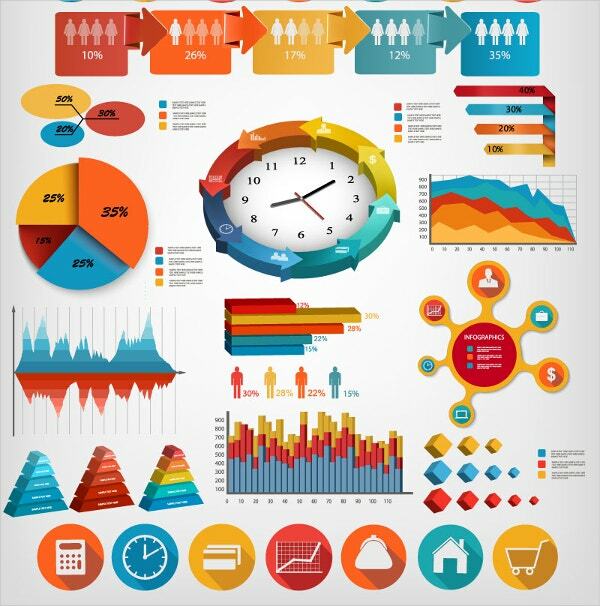 Complex data puts viewers off almost instantly, and this is where a well-designed infographic wins the battle and keeps the viewer’s interest alive. 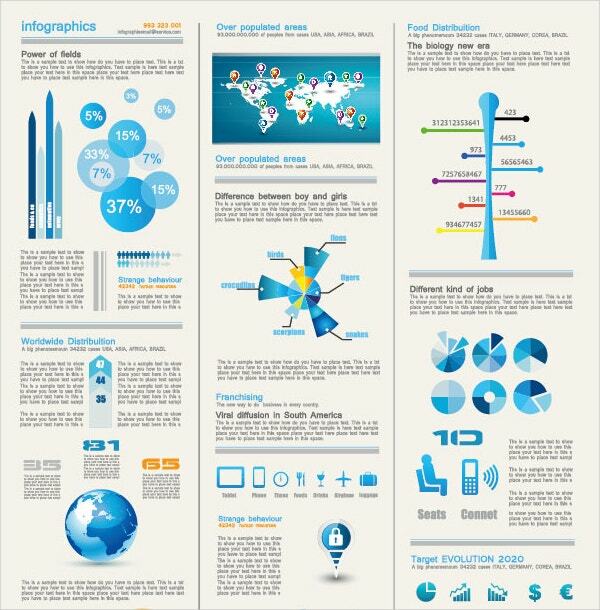 And the best part about infographics is that they are easy to follow graphic materials and are fun to work with. 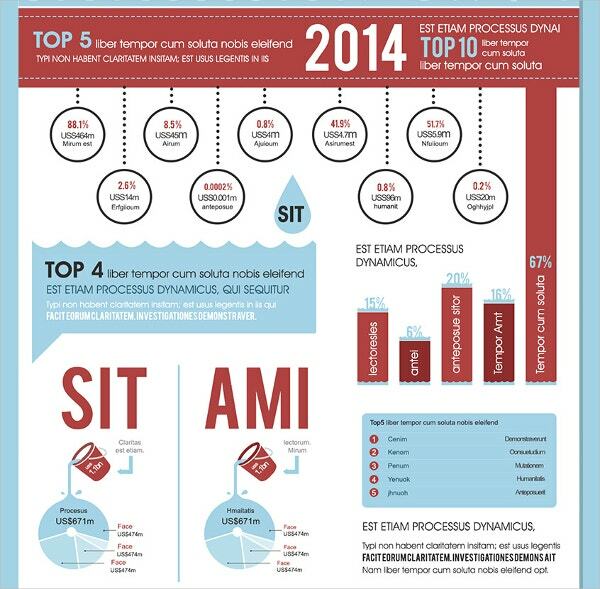 The trend of using infographics in more number of projects seems to be on an upward curve.